Image of the Planar elliptical dipole for UWB. The standard elliptical dipole antenna may find application for use in the FCC (and ETSI) defined ultra-wideband (UWB) radio band of 3.1 - 10.6 GHz. 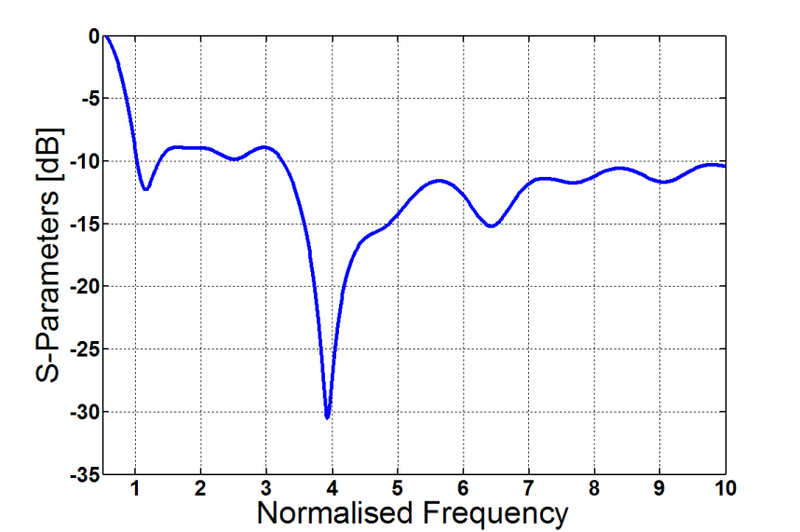 However, while the basic structure is able to cover the required frequency range, it may not be the most optimal structure to serve as a Gaussian impulse shaping filter required for UWB radio. To address this shortcoming, elliptical slots are used on the dipole arms, resulting in low-level ringing and pulse distortion. 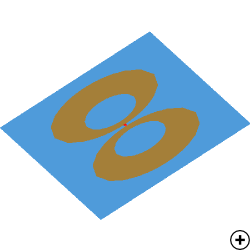 This planar antenna consists of a basic outer elliptical dipole element with inner elliptical slots (cutouts), which may be practically fed in a number of ways. Generally, the planar element is fabricated by etching a metallised dielectric substrate. 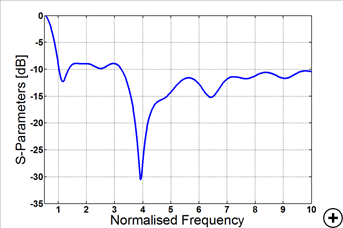 The antenna achieves a good (S11 < -10 dB) match over most of the 10:1 bandwidth for a 50 Ohm input impedance, while at one portion in the band it is slightly worse, at around -7.5 dB, depending on substrate.